September 29, 2017 (San Diego) – With the Chargers gone, Friends of SDSU has announced a ballot initiative to transfer the former Qualcomm Stadium (currently SDCCU) to San Diego State University to become the SDSU West Campus Research Center. August 11, 2015 (San Diego)--The San Diego Chargers will pay tribute to Chargers and San Diego icon and Pro Football Hall of Fame linebacker Junior Seau prior to the team’s regular-season home opener against the Detroit Lions on Sunday, Sept. 13. The tribute will take place prior to kickoff on the 50-yard line at Qualcomm Stadium and will feature a special video followed by an address from Seau’s daughter Sydney. August 13, 2014 (San Diego)--Five athletes will be inducted into San Diego State University’s Aztec Hall of Fame this fall, including football, baseball, soccer and track stars. August 8, 2013 (San Diego’s East County) – San Diego State University is set for Aztec Fan Fest, formerly known as Aztec Family Day, which is scheduled for Saturday, Aug. 17 at Qualcomm Stadium. The event features Tailgate Town, a Fan Fest scrimmage and a Meet the Team autograph session. Gates open at 3:30 p.m. and admission is free. The event begins with Tailgate Town, which includes appearances by SDSU players, coaches and sponsors, as well as the SDSU Marching Aztecs and Cheer team. July 18, 2013 (Mission Valley) – San Diego County Credit Union (SDCCU), San Diego’s largest locally-owned financial institution with three local East County branches in El Cajon, La Mesa and Santee, is inviting the public to its SDCCU Super Shred Event featuring free document shredding services from 7 a.m. to 4 p.m. this Saturday, July 20 at the Qualcomm Stadium northwest parking lot located at 9449 Friars Road, San Diego. 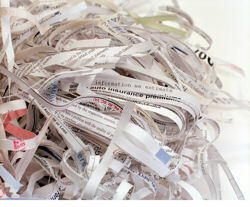 SDCCU is hoping to shred the Guinness World Record for most shred paper collected in 24 hours. The current world record of 111,920 pounds of paper is held by Comerica Bank, Iron Mountain and KDFW FOX 4 in Dallas.